Casino owner Wynn Resorts is one of the worst-performing stocks of the year. But founder and CEO Steve Wynn just gave investors a huge vote of confidence by raising his wager on the struggling company. Wynn Resorts announced late Tuesday that Steve Wynn had purchased more than 1 million shares between December 4 and December 8. Wynn now owns more than 11 million shares of the company that bears his name. Shares of Wynn Resorts (WYNN) surged more than 15% in early trading Wednesday on the news. Steve Wynn remains the firm's largest individual shareholder and third-biggest overall, behind money managers Northern Cross and Southeastern Asset Management. Insider buying -- especially by a CEO -- is usually considered an unabashedly bullish sign. While corporations have been on a stock buyback binge lately, individual executives are typically less willing to put their own money at risk. In fact, research firm TrimTabs just reported that insiders sold $7.6 billion in stock in November. That's the second-highest monthly total of the year. And it comes after the explosive market rally in October. So that makes Steve Wynn's purchases even more noteworthy. And Wynn Resorts could use a win, so to speak. 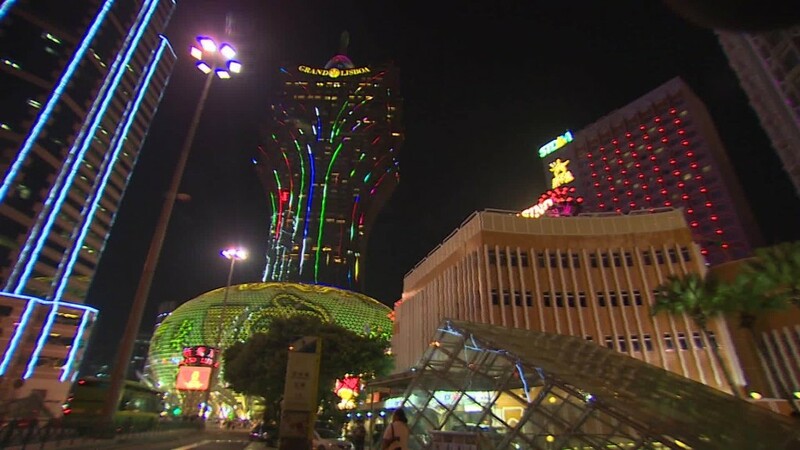 It's been a tough year for the company -- mainly due to a huge plunge in gambling revenue and profits in Macau after the Chinese government cracked down on corruption there. Wynn Resorts operates in Macau -- a special administrative region in China (similar to Hong Kong) where gambling is legal. The company also has several casinos in Las Vegas. It has plans to open a new casino in Macau -- the Wynn Palace -- next June. Another casino -- the Wynn Diamond -- is also in the works. Shares of Wynn Resorts and Wynn Macau (WYNMF), a separate company trading in Hong Kong that Wynn Resorts owns 72% of, have both lost more than half their value in 2015. And that's after the big pop they both enjoyed Wednesday. The American-listed shares of Wynn Macau were up 10% Wednesday. Wynn Resorts has done much worse than its Sin City rivals this year. Shares of Las Vegas Sands (LVS), which also has properties in Macau, is down "just" 24%. And MGM Resorts (MGM) is actually up 5% -- despite having exposure to Macau as well. Another publicly traded Macau casino owner based in Hong Kong, Melco Crown Entertainment, is down 36% this year. So is Steve Wynn signaling that the worst is over in Macau? Perhaps. The company didn't give any explanation in its release as to why he decided to buy more chips and push them into the table known as Wall Street and was not immediately available for further comment. Wynn has expressed frustration with investors on recent earnings calls about the problems in China. But he has remained committed to increasing Wynn's presence in Macau. So it makes sense why Wynn Resorts investors were clearly pleased. And just like a hot shooter at a craps table can lift the fortunes of all around them, Wynn Resorts' surge boosted the rest of the casino sector Wednesday. MGM rose nearly 3% while Las Vegas Sands and Melco were each up around 5%. Sometimes it's better to be lucky than good. It works on Wall Street as well as the slots. -- CNNMoney's Heather Long contributed to this report.